No need for pre-made bags (saves cost and stock). Use of PE/PP tubing material for free bag length adjustment. Capable of mixed parts packaging. Direct Barcode, Date, Serial number etc. printing on plastic bag. 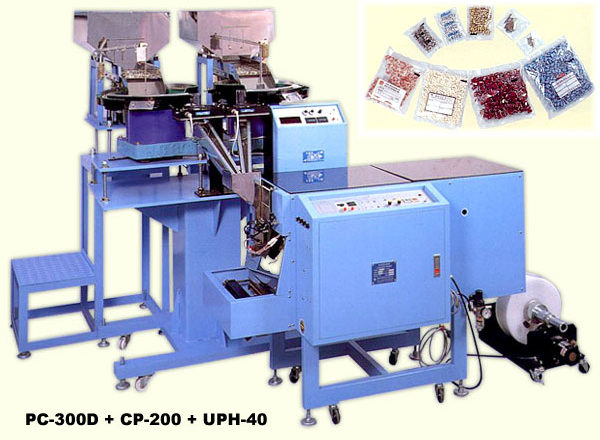 Labeling & Printing unit / Lift conveyor / Auger filler / Hanging hole puncher / Easy tear line. 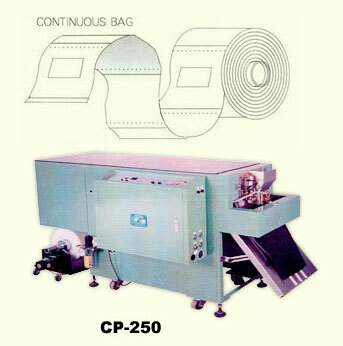 CP-250 works with PE tube to produce custom made bags for filling and sealing.